Lejay Noir de Bourgogne was named Supreme Champion at the 20th International Spirits Challenge ceremony yesterday. It is the third year running a Crème de Cassis has taken the top honour, after Dijon Gabriel Boudier was named Supreme Champion in 2013 and 2014. For the full results download the International Spirits Challenge 2015 e-magazine. Held at the Honourable Artillery Company in London, Drinks International’s annual awards also named Nikka Whisky Distiller of the Year and Jim McEwan of Bruichaladdich the Lifetime Achievement Award. The ISC saw a record number of spirits and liqueurs tasted in 2015, with almost 1,300 entries across 13 categories. Trophies were awarded in all 11 spirits categories, scotch being this year’s stand-out with a total of six after the biggest tasting of all throughout the challenge. For the full results click here. The highlights are below. Our trophy winning spirits are brought together for a final round of tasting by our category chairmen to decide the Supreme Champion Spirit for 2015. 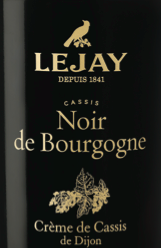 The Lejay Noir de Bourgogne received the highest number of points from the chairmen to scoop the main title. Auguste Denis Lagoute created the original Crème de Cassis de Dijon in 1841, in the heart of Burgundy. Noir de Bourgogne is harvested once a year during summer in Burgundy and other northern regions in France. The producer with the highest-scoring performance across all categories is rewarded with the accolade of Distiller of the Year. The award is again based on a weighted points system and rewards the producer’s overall commitment to quality and innovation. Nikka was established in 1934 by Masataka Taketsuru, who began his career in 1918 when he enrolled at the University of Glasgow in Scotland to become the first Japanese ever to study the art of whisky making. He took chemistry courses at the university and apprenticed at distilleries, learning first-hand from craftsmen and receiving training as a blender. Masataka would later become known as a master blender. In 1920 Masataka returned to Japan, joining a company that aspired to make genuine whisky, and produced Japan’s first whisky. In 1934 Masataka established Nikka Whisky, and built its first distillery in Yoichi, Hokkaido, which he had always considered to be the ideal site in Japan for whisky-making, similar in many ways to the Scottish town where he had studied. In 1969 a second distillery in Miyagikyo was opened. New for this year, the Supermarket Own Branded Spirits Range of the Year recognised Lidl as the overall winner. Based on a weighted points system, the German discount supermarket chain had the best performing own-label brands across all categories within this year’s challenge. Lidl has some 10,000 stores across Europe and has gained many plaudits for its drinks selection. Last year its London dry gin pipped many branded products to pick up a gold in the International Spirits Challenge and this year it has garnered awards in the gin, brandy, liqueurs, scotch, world whiskies and cognac categories. The first Lidl store opened in 1973 and by 1977 had risen to 33 stores. 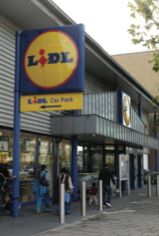 Since launching in the UK in 1994, Lidl has grown to some 590 stores. Combining mastery of art and science, Dr Bill Lumsden, a biochemistry PhD, joined The Glenmorangie Company as distillery manager in 1995, progressing to his current position as director of distilling and whisky creation. 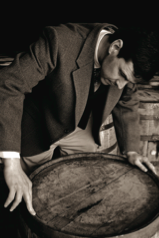 Lumsden is renowned for his “ground-breaking wood management techniques, experimentation with exceptional casks at various ages, and utilisation of extra maturation”. He enjoys travelling the world’s wine and spirit regions, searching for the best oak casks to complement the company’s whiskies. In recognition of his position as a knowledgeable and forward-thinking distiller, Lumsden has won a wide array of prestigious awards and accolades, joined this year by the International Spirits Challenge’s master blender/distiller of the year. Darren Rook is making waves in spirits after setting up the London Distillery Company with Nick Taylor in 2011 to provide “genuine British Spirits of the best quality and without any adulteration”. The company uses organic ingredients sourced as locally and ethically as possible and aims to be eco-friendly. Rook has a decade of experience in the industry after previous careers in retail and tree surgery. and has since produced and designed an annual, limited-edition whisky known as Whisky for Movember in partnership with online retailer Master of Malt. He is known too for his blog, The Whisky Guy. 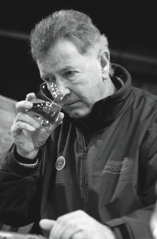 Jim McEwan’s career spans more than 50 years in the whisky industry. It began in 1963 when McEwan, then just 15 years old, started at Bowmore distillery where he quickly rose to become cellarmaster. 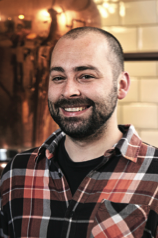 He then moved to the company’s facility at the Roseburn Bonding Co in Glasgow where he learned the art of blending, before returning to Islay to take over as distillery manager at Bowmore. Recently retired, McEwan was one of the first distillers to travel the world as an ambassador, and gained an international reputation with his advocacy for, and knowledge of, single malt whisky. In 2000 he was approached to become production director of a new regime at Bruichladdich Distillery on Islay, which was to be reopened under independent ownership after seven years of closure.